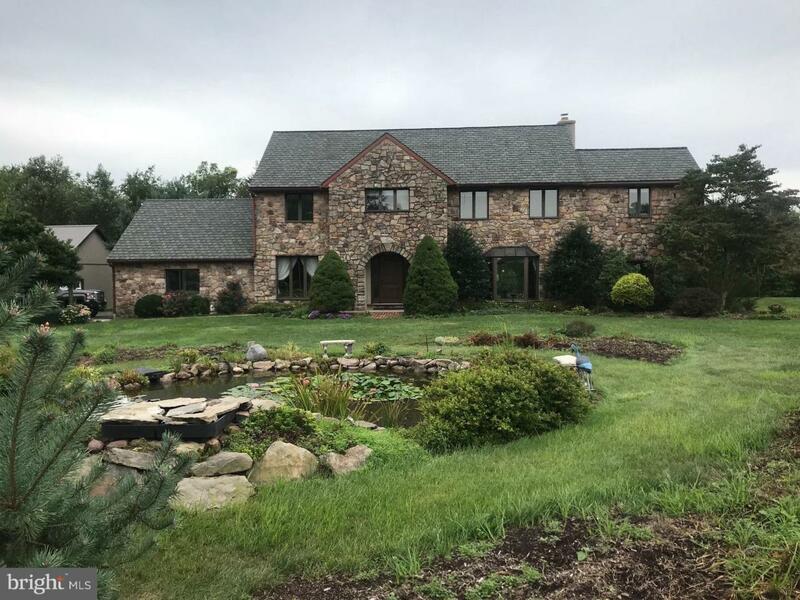 Simply Amazing property, Sprawling Two Story over 4.2 acres of Park like setting,From the entrance way to exiting out on a large deck leading to the in-ground, Life doesn't get any better. Let's start the tour by entering the Enormous foyer w/ marble tile 21' x 9', Let's go to the living room 24' x 18' with a beautiful gas fireplace, off the living room encounter a 14' x 12' office /study or in-law suite with a new full bath room ( suite has private entrance. OR we could go left into the formal Dining room with hardwood floors, walk to the large kitchen , with new LG appliances, you could continue by to the living rm if so desire or pass thru the family room on your way to sun rm/ exercise room, with cathedral ceilings. what next but a 8' x 11' pantry w/ sky-lite. Did I mention the two garage garage attached to the home w/ entrance directly to the kitchen. Let's go up stairs we have 4 bedrooms and second floor laundry room, The master bedroom offers a 12' x 12.6 sitting room with lot's of closet space, Wow!!! a second floor deck off M/B w/ steps leading to the pool, almost forgot the main bath with a soaking tub. Car Buffs we have a brand new 32' x 24 garage with auto lift already for your street rod or any other hobby . Have stuff to store well we have a 50' x 25' pole barn for you. AS I SAID JUST AMAZING PROPERTY. Thanks for taking the tour.